Located just south of Sugarloaf, Mt. Abraham (known by locals as "Mt. 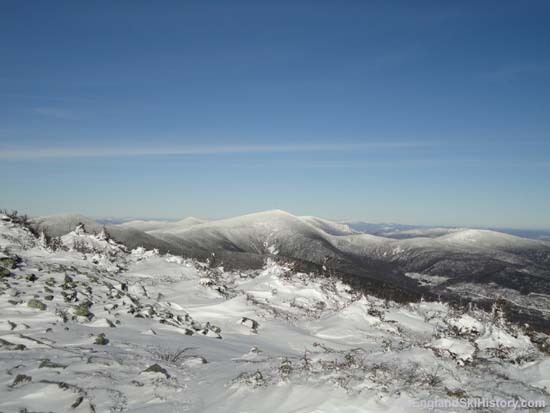 Abram") is one of the tallest mountains in Maine at 4,050 feet in elevation. The long ridge of Mt. 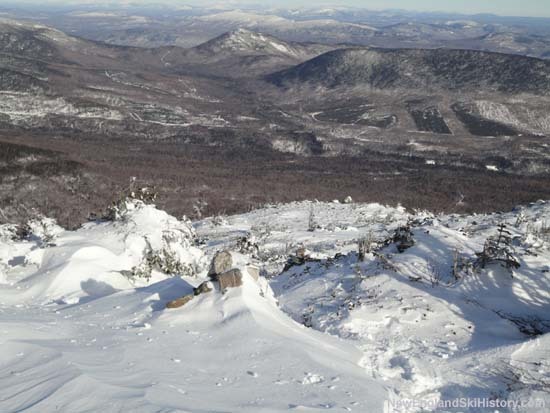 Abraham features dramatic talus slopes, providing for extensive above treeline terrain. With alpine skiing growing into a huge sensation, Maine was looking to host the 1976 Winter Olympic Games. In early 1967, Mt. 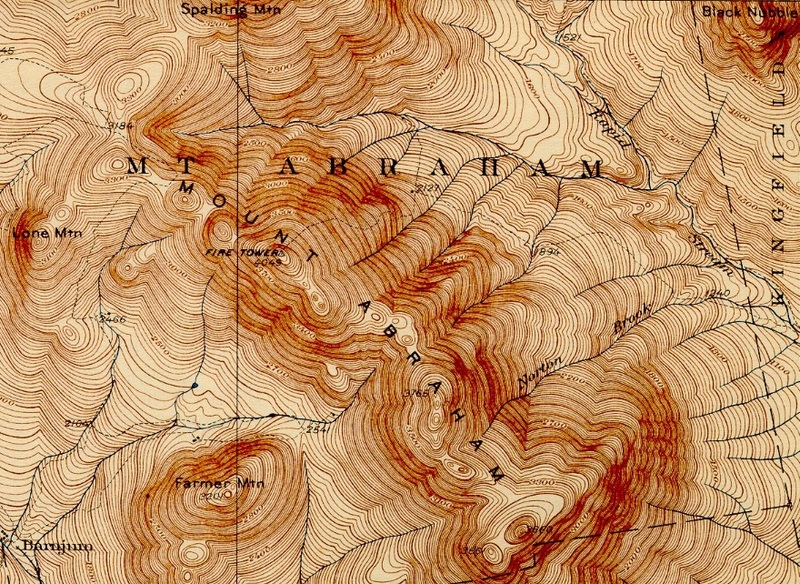 Abraham was briefly considered as a possible alternative to nearby finalists Sugarloaf and Bigelow Mountain. One of the main criteria was that the host mountain was to offer 2,600 vertical feet, which the east face of Mt. Abraham provides. Ski legend Willy Schaeffler visited Mt. Abraham in mid April of 1967 to assess its potential. 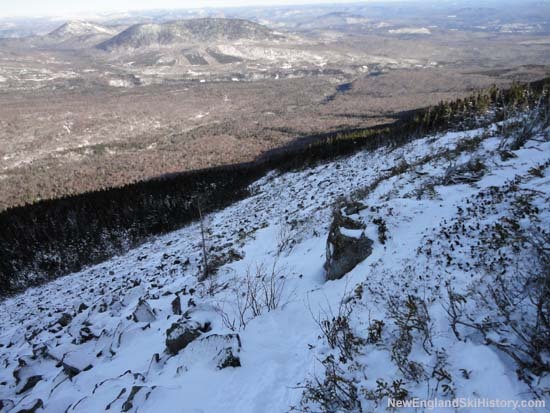 Following the spring of 1967, the focus was placed on Sugarloaf and Bigelow Mountain. In the end, Innsbruck, Austria won the 1976 Winter Olympics bid. Mt. 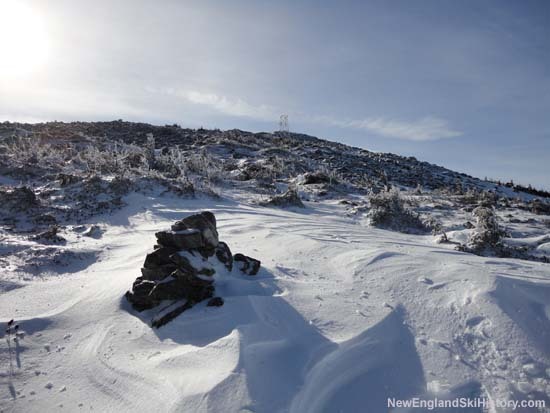 Abraham ski area never advanced beyond very early stages of study, so there are no known ski area remains. 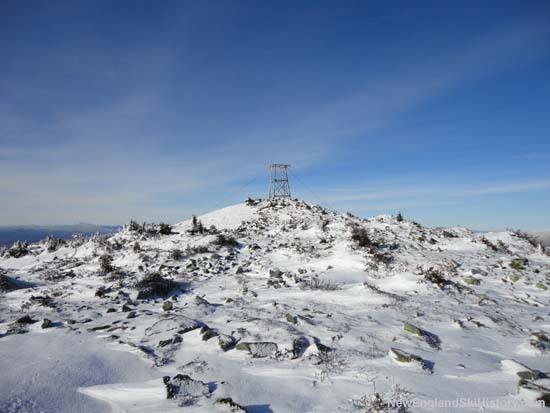 Old Speck Mountain currently features multiple hiking trails, as well as a makeshift summit shelter and fire tower frame.
" Willy Schaeffler, ski coach at the University of Denver, made the inspection. 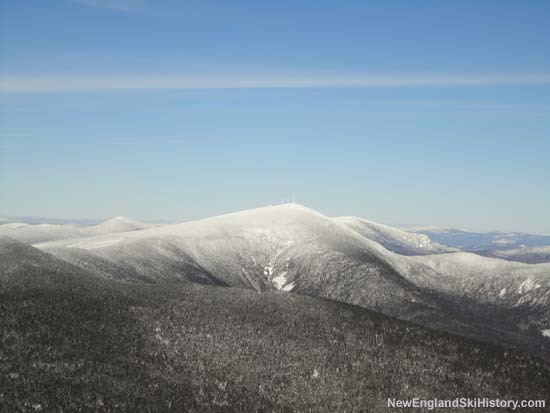 He was to evaluate the potential ski racing terrain at Bigelow, Sugarloaf and Mt. Abram mountains. Schaeffler could not comment on his findings. An official report will have to come from the committee itself. " " Sugarloaf is important as an alternate site and as an area to stage events that Bigelow would not be able to handle. Mt. Abram is another reserve site. " Beatrice, Mike. 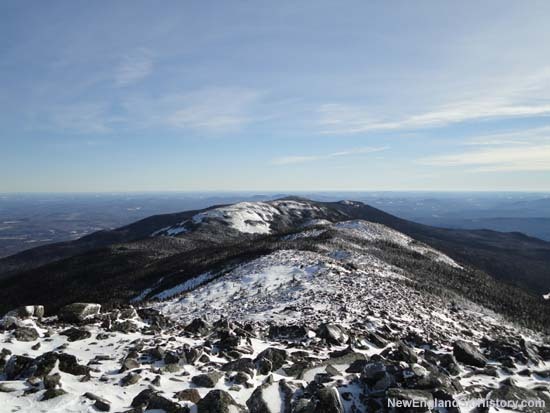 "Maine's Bigelow Mt. Gets Olympic Inspection" The Boston Globe. 20 April 1967.